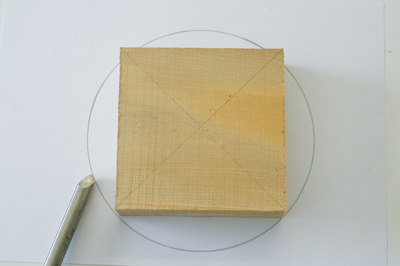 People often ask me how I turn a bowl that has square edges â€“ did I cut off the four sides after turning a bowl? 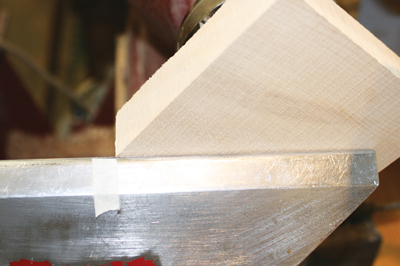 The answer is no, you can turn a square edge bowl. 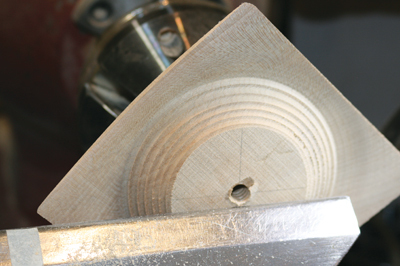 You must always respect any item on the lathe, but with a non-round item this is even more important. You must always keep your fingers at your side of the toolrest. One point to check is that there are no faults in the piece of timber, split marks especially, or it could split while it's turning. It is always a good point to stop the lathe as you progress and check that no faults have appeared. 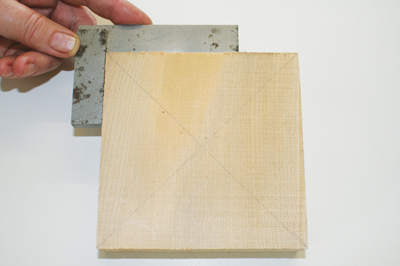 If this is to be your first square bowl then start small, something in the region of 100mm square, and progress to larger sized pieces.